Product #476 | SKU Z-RE-M10 | 0.0 (no ratings yet) Thanks for your rating! Zacuto 10inch rod extensions (2 rods included) for DSLR and video rigs. Zacuto's rods are all lightweight; 15mm diameter with 60mm spacing and clear anodizing. 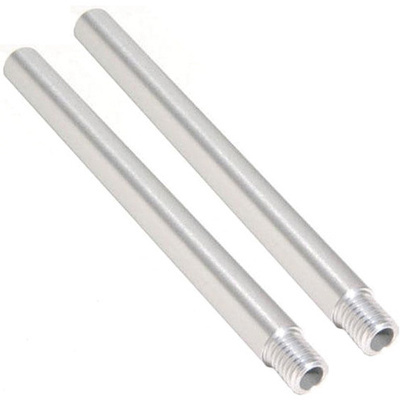 They are made out of 6061 aluminum and the threads are ½” 13.